A young woman was appearing in court to face a public disorder charge. "Not guilty," the woman answered emphatically. 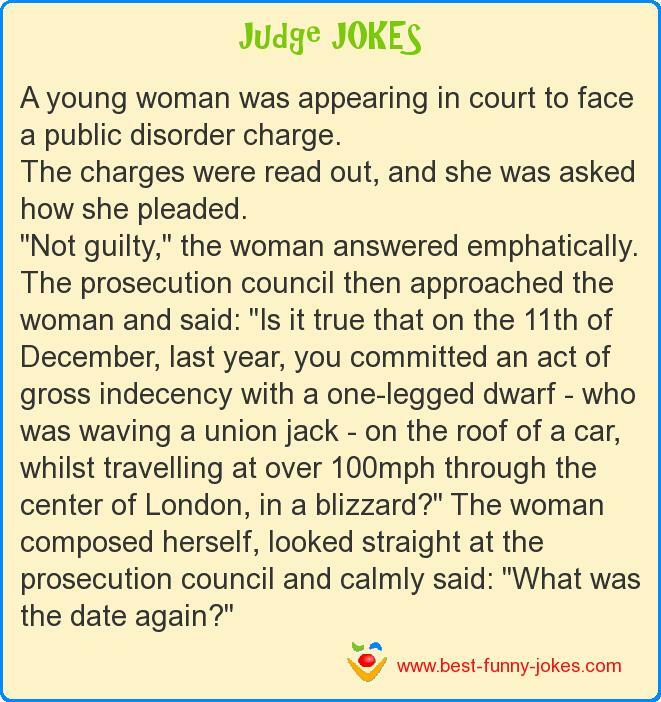 The prosecution council then approached the woman and said: "Is it true that on the 11th of December, last year, you committed an act of gross indecency with a one-legged dwarf - who was waving a union jack - on the roof of a car, whilst travelling at over 100mph through the center of London, in a blizzard?" The woman composed herself, looked straight at the prosecution council and calmly said: "What was the date again?"